We are sure that you are already aware of the plans to build a huge ski resort ecological in an important valuable part of theUkrainian Carpathians, more specifically the north-central part of the Svydovetsky Massif and the adjacent upper Chorna Tisa river basin. European Wilderness Society already published information about the Ukrainian court decision to stop the planning process of the mega ski resort on the Svydovetsky massif temporarily due to the efforts of activists of FREE SVYDOVETS with and increasing international support. Support the approximation of the Ukrainian environmental legislation to the EU legislation, particularly by initiating voting in Verhovna Rada for draft of the Law of Ukraine “About strategic ecological assessment”. A group of Ukrainian scientists from the Institute of Ecology of the Carpathians NASU, Taras Shevchenko National University of Kyiv and Ivan Franko National University of Lviv prepared an scientific ecological assessment of the Svydovets massif. 14 – mammals as being threatened. 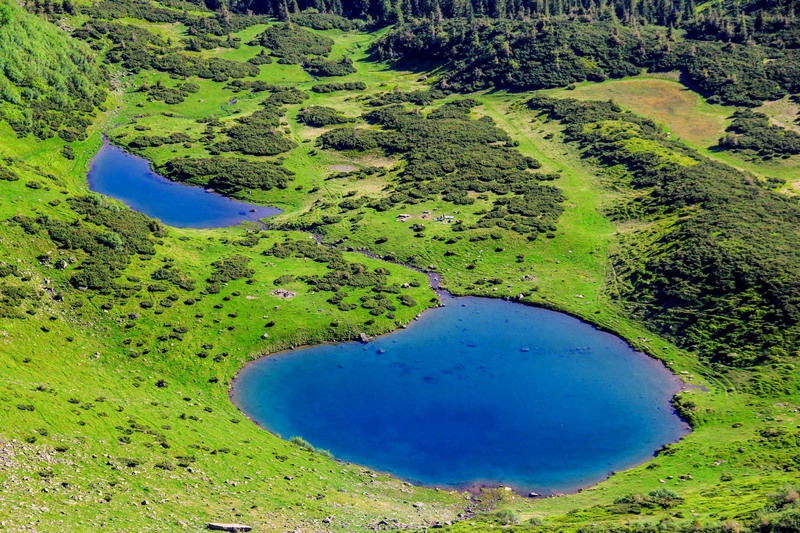 The high-mountain zone of the Svydovets Massif is exceptionally significant for biodiversity conservation in the Carpathians as one of the most important refuges of the relic boreal-alpine and endemic Carpathian biota. The construction and the operation of the planned mega ski resort would lead to destruction of the natural ecosystems and landscapes of the whole Svydovets mountain range as well as deterioration of hydrological regime and contamination of the upper Chorna Tisa river basin. It will pose the threat of devastation to ecosystems of the unique glacial mountain lakes, mires and rocks, riverine and subalpine forests, habitats and populations of many rare plants and animals protected in Ukraine and in the European Union. IN Austria the plan to develop hydropower plans across the whole alps was the starting point of the creation of the largest Austrian National Park Hohe Tauern. The idea to build a mega ski resort in the Ukrainian Carpathians could be the trigger to establish the “Central Svydovets Massif” Nature Protected Area of national importance which would protect the natural environment and biodiversity on the planned for future generations. On 7 of February, 2018 the Scientific council of the Institute of Ecology of the Carpathians made the decision to submit an official request to the Ministry of Ecology and Natural resources of Ukraine regarding creation of the Protected Areas on the territory of Massif Svydovets. The European Wilderness Society continuing keeping an eye on this issue and communicating with relevant activists and scientists and, besides, our wilderness experts are already planning to visit this area in the recent year. The full report with substantiation in Ukrainian and the summary in English are available here. The original version was published on www.researchgate.net. Why is Norway killing wolves? Brussels – a new location for an EWS office!